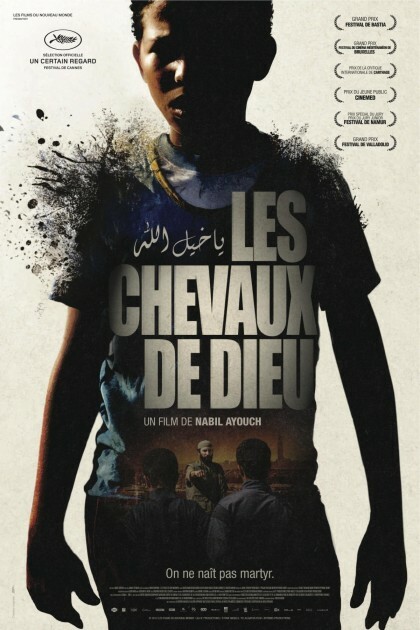 Set in a slum on the outskirts of Casablanca, Horses of God (Les Chevaux de Dieu) is a powerful drama based on the events leading up to the Moroccan suicide bomb attacks of 16 May, 2003. 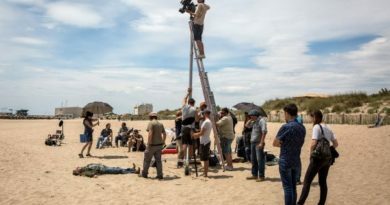 The film’s director, Nabil Ayouch, has crafted an original and moving adaptation of Mahi Binebine’s novel The Stars of Sidi Moumen, mixing social realism with a more ambitious and epic grandeur. There are three main characters who we first meet as children, playing football. Yachine is the goalie, Nabil is his closest friend and Hamid is his tough brother who protects him even though he criticises Yachine’s close relationship to Nabil. How did your collaboration come about for this film? I met director Nabil Ayouch at Cannes in 2010, where one of the films I shot was projected, « Des Filles en Noir » directed by Jean Paul Cyveirac. Nabil knew my mother Eliane Dubois, who was an important distributor in Belgium. He was looking for a director of photography for his new film and after seeing « Horses of God », he asked me to shoot his film. This was about a year before the shooting, which allowed us to talk a lot in advance. We didn’t know each other before . How was this collaboration, did you have enough freedom ? I had all the freedom I needed. Nabil had enough confidence after all the discussions we had during preparation: he knew what he wanted and it became clear for both of us. We decided together the main options. I had complete freedom on the set concerning the frame and lighting. If there were things he didn’t like during the shooting , we just discussed them, there was a dialogue based on mutual trust. At what stagewas the movie, when you met? Nabil had finished the script and was at the end of the financing search. He had begun casting and location scouting: he was looking for a real slum because he wanted to shoot on a real location. He had already visited many slums and I came in at that moment. Together, we visited a few other neighbourhoods and slums. He also wanted to shoot with real slum dwellers : those who lived there. 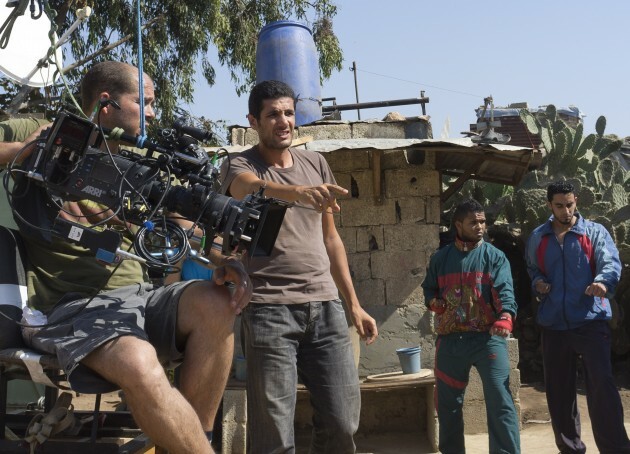 Filming was scheduled for three months and Nabil wanted that the people living in the slums accepted the crew, that we integrated in the landscape. Because of the limited budget, we had to find the locations that we could use without transforming them completely. For the visual look, Nabil wanted to start with strong colors and light, and go step by step to a more neutral look. Was there a different approach shooting « indoor » and « outdoor » ? Yes, it was very different in lighting. Outside, we were working with natural light. I didn’t use lights (projectors) outside, sometimes just large reflectors. Inside I had to light because it was very dark. The limited budget forced us to have a lot of exteriors. So we decided to shoot these scenes in the fall , to get a more interesting light. It was a very nice and soft light. If you shoot during summer in Marocco, light is very strong and contrasting. You have adapted the shooting schedule for the outdoor light ? With the assistant director, the sequences were placed at the times that I preferred. The main sets are reconstructed: the bar, the family home, another house and garage. This allows you to put them in the right axes and orientation. These choices in preparation are of great benefit when you start shooting. When you say rebuilt, you mean from scratch ? Yes, from an empty space. They built the way slums are constructed, with the same materials. Did the set-designer submit you plans ? We decided the locations and orientations on the spot. After that, I returned to Belgium and prep was going on in Marocco. Once I received the plans I marked where I needed windows or openings in the roof. To remain realistic, we had to work in very small spaces. Visiting slums with Nabil gave me the oppertunity to see what was interesting lightwise and realistic. Fortunately, we had a good prep and without that, some sets would have been very difficult to shoot. You often work with natural light? It’s very expensive to light an exterior set. Bigger lights, more crew, more time… In some films you can do it, in this limited budget it was impossible. Once again, preparation and planning when to shoot the scenes is extremely important. Locations were rather limited because we shot everything in the same slum. We could juggle more or less easily. If ever we needed more sun for a scene, you could adapt the shooting schedule. Marocco has more or less the same weather all the time and we had very little surprises. Watching the film, you can seethere is atone.There is a style andcolor palette.Was it decidedin advance ordid itcome while shooting the film? That choice was determined very soon. There are 3 periods in the movie, the story covers twelve years. We wanted to mark seasons and passing time with a visual difference. It was decided that the light would follow the story. At first, very colorful and contrasting images and a mobile shoulder camera. The characters are still in there childhood and it is very much alive. Gradually, the image becomes softer, duller. All this has been in relationship with the set-design and wardrobe. The same goes for night scenes : we wanted to mark a visual (technical) change because early in the nineties there was no light, no electricity or very little. So for example we used candles and little by little electricity is introduced. But it was decided in advance. Arethere sequences thatwere more difficult todo? Many in fact. More specifically, all the flying cam shots (aerial views, where I didn’t have very much to do lightwise, because it’s natural light). It was complicated to organise the right timings for the actions because it happened over long distances. What is the role of the DOP on this aerial scene? It’s complicated because we’re just looking at other people working, The camera-assistant for the focus, the camera-operator for framing and the pilot. I was looking at the monitor and tried to transpose technically what Nabil wanted. You did a steadicam on the film? Was it rather an artistic choice to shoot the film handheld? Yes, the structure of the film evolves between three stages. In the first part, everything is handheld. The middle part is a bit mixed … with movements, but more travelings on tracks and a little bit of handheld. At the end, we used again more camera on shoulder. We did a lot of tests because of the streets, where the soil was in poor condition. We found that using handheld all the time might become too choppy. We even tried a stretcher where I was sitting as a mogul but finally I decided to use an easy-rig. This gave me also the opportunity to get the camera on waist level and to be at the height of children. And the choice of the frame ratio, to make the film in 2.40 ? It was Nabil’s idea… The sets and locations were paramount for the story and we found the slum very flat, so the very rectangular format 2,40 was the most interesting. How is Nabil working with actors, especially when many of them are not professionals ? He likes master shots? A way to make things play in continuity? Yes that’s right, the technique was to have mastershots from different angles. In editing they were cut, edited together. We shotalmostevery timethe entire sequence in a long take. This helped the actors to have the right rythm. Alldialogue sequenceswere entirely shot from several points of view. Theeditor did a great job becausethere was a lotof footageand a lot ofwaste. On the set, what was his techniqueat the beginningof a scene, when you arrivedin the morning, what is his method? Was he explaining the scene or did he start with a rehearsel with the actors ? We had a script breakdown for almost the entire film. Nabil knew how he wanted to shoot. He explained and showed the actors their displacements. We blocked out together the scenes but it served more to explain to the non-professional actors. It became clear for them but we still did many takes. When you say many takes, how many are we talking about? Not 30 or 40 but at least 10-15. Sometimes it was hard because it was very hot, but I think he was absolutely right because he got a quite realistic and natural tone. And when you say that Nabil is making master shots in different ways, you main that he first shoot with a wide lens (like a 24mm) and than goes tighter ? Yes, for the « decor » … we showed an evolution, we also wanted a more dynamic style, most of the time several characters in the frame, at children-height. Is there a scene that you would have done differently? I often think back to a reconstructed set, where we have chosen the position of the windows: Now I’m saying : “there I should have put a window.” So , it’s for sure, I would do it differently . For the interior day sequences, something is missing. I wanted more light but it was almost impossible because we were often shooting in the corner were the table was. It would have been easier to light with a better placed window. I also want to show an evolution in the electric fourniture in the set, to show that we were in a different period. We decided to be realistic, so sometimes it means that it is less beautiful. Storywise, sometimes you can’t make it more beautiful than it is. Realism is important. In the candle sequence, did you force the sensitivity? We wanted grain … especially in the beginning of the film and of course for nights. The choice of digital instead of film? It’s easier, we had a small light package and with this camera it was possible to get a nice result without putting too much light. On the other hand Nabil wanted to have the possibility to shoot a lot of takes. I think it was his first film in digital. I shot more on 35 mm than digital. Today it’s an exception to shoot film, unfortunately. I think every film has its format. Sometimes it’s better to have 35mm, other projects are better on digital. I think digital was the best way to shoot « les Chevaux de Dieu ». On film we would have missed the execution speed, the freedom and the flexibility. How do you work on the set ? As a DOP who is also doing the camera-operating, you probably don’t have that much time to look at the monitor. Is there somebody else who verifies it for you ? I was checking the shot during the playback that Nabil watched with his script. Otherwise I controled my levels on the waveform (Astro). It was more difficult when I was shooting handheld, in that case it was rather my second assistant Soufiane who was checking the levels …. And the director is he rather beside you or behind the monitor ? Did you chose to shoot with a very open aperture, is the film rather on T2 than T5,6 ? Was your second assistant a Maroccan ? Was he checking the combo ? Yes, he checked focus and even the frame, he was also behind the astro. The choice of masterprime, is it something you would do again ? Of course, the blacks are very nice with these lenses at any stop and the flares are beautiful. I specially like flares and I try to play with them as much as possible. With the sun or electric flare. These lenses are quite heavy but they have also a very nice rendering on the skin. Moroccans have beautiful skins … it helps. Yes, Nabil wanted an immersion, to be with them, in their lives. We had to follow them , almost smell them. This was clearly an intention. This is also why we chose short focal lengths, to be close to them. We are also in their point of views. Nabil wanted the audience to understand the characters and it isn’t easy to understand someone who decides to become a suicide bomber. The idea was to be with them without judging them. What is the reaction to the film’s point of view, which seems rather detached from morality? I rather had compliments from people who thought it was interesting because they were not used to this point of view. I didn’t have any negative reactions and I think that it was well accepted in Marocco. This is a real question: children who blow themselves up in their own country. The film is trying to understand without excusing them . Also some characters have different reactions, some are stopping before the final act and others go on. When you get a script, do you think « well, I’ll try this out » ? Or is it the script that offers you a style and approach ? I realize more and more that when reading a script for the first time, images, impressions, sensations flow over me, or not. When nothing happens, I think that it’s not a film for me. But often at the first reading I imagine colors and contrasts and they give me the desire to do the film. I like doing different things. When I discuss with the director I see if it corresponds with what he had imagined. Did you have references, images, photos for this film ? Very little, in fact the only reference was « Slumdog Millionaire ». We looked at some photos of slums in different periods , but there were very little photographic references anyway. Very soon after the first reading of the script, I thought about «Slumdog Millionaire ». It became a reference, but it was more in my memory. 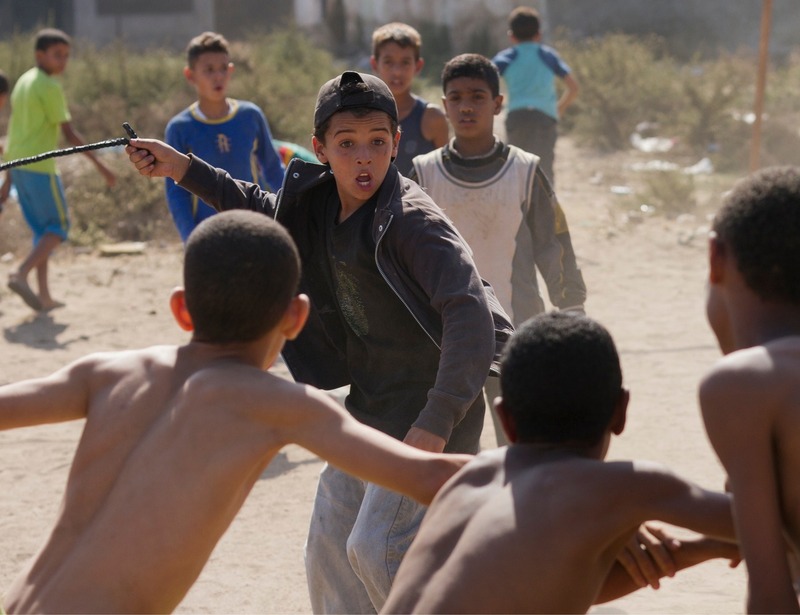 Is there a difference between shooting in Marocco and in Europe? I understand more Lebanese which is still very different from Maroccan. I could recognize some words but it wasn’t easy. Is it complicated to make a film that’s not i n your language ? I don’t think so. It happened several times to me by now, in documentaries and fictions. You just have to read very well the sequences to know who speaks and what he is saying. But when I’m framing, I pay less attention to who speaks and it becomes more instinctive. We are more in the rythm of the movements, the rythm of the scene. Perhaps I give more importance to the expressions on the faces. So I like it. Framing becomes very instinctive and natural, especially when you’re shooting hand-held. In settings that are lit, houses etc . , is the frame more important than the light? Yes, it is, up to the point where the frame really keeps me from lighting or from doing something and the induced light does not work or is ugly. But it is true that in areas like this, we start with the frame, and then comes the light. The Easy Rig is a technical way or it’s a way to relieve physically ? A bit of both, but probably more technical. There is for example filming at the height of the children, I do not think I could have done without the EasyRig. But then I think it brings something, you keep the shoulder shot but without being too hard, too dry. You can walk long distances, it allowed us to take a broad and relatively static shot without getting out of breath. We keep a part of freedom. What was your relationship with the post-production during preparation? What was the readiness with post-production and did they help in the final vision of the film? As we had a lab on location, belonging to Nabil`s production, we had decent rushes on site for him and he could edit beautiful images. I did buy a Black Magic card, which allowed Nabil to edit without having to recalculate things, such as LUT . I don’t remember too many details because it was a bit complex for me at the time. This card enables you to edit flexibly and with a correct look on the monitors. So you had prepared with the Belgian lab? With Belgian Lab ACE Digital House we had prepared LUTs and we sent them to the Moroccan lab for the dailies. In fact, we didn’t use those LUTs very much because the one installed in the camera is very flexible and suited me, except for a few sequences. The Black Magic card enabled LUT monitoring during editing. There are some special effect sequences and these were done in the Belgian lab : the helicopter, the series of explosions, erasing elements such as satellite dishes. They came on set for the final sequence of the explosion … and fortunately also for helicopters, they were there. Including the scene where the children play, they had to stabilize the helicopter shot and also erase disturbing elements in the frame. 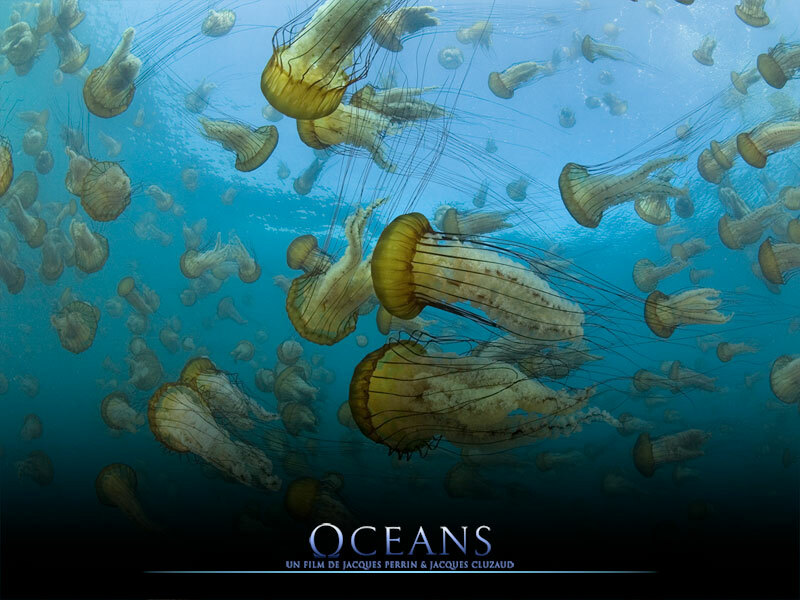 Do you feel that there is a higher resolution, greater flexibility for special effects? Personnaly I did not feel any difference in definition, I felt a difference in look, genre, style and image but not in definition, but I felt a different flexibility for all special effects and finishing touches. There it was impressive. We had a little more time to run than expected. But I think 35mm would have been much more difficult, it is still a big question for me. And what about RED EPIC ? Yes, because I liked the style and the look and I was rather pleased also with the flexibility it brings. But in rendering … ? When we look at the Magrittes for exemple and we see that 80% of movies are filmed in Alexa, is there not a kind of leveling … Picture Style ? Indeed, there is little choice for tools. As everyone works with the same camera in the end, we see much of the same thing. In terms of frame and light, there is a bit of a formatted style. There is a somewhat uniform look. The differences are coming more from choices of lenses, filters. This is something I asked myself, what are the lenses that the DOP can use to change or personalize an image. Putting your stamp, this is a real issue. As technology evolves, do you feel the need for a DIT on set? Should the Monitor on the set be close to the final result or is it rather a tool for checking the frame and directing work, just as, in the past, the video assist whith film cameras? I never had a DIT on set so I cannot say much. I’d like to try because I think it can be useful : when you’re shooting camera on shoulder, things can get complicated … I think it is something which can bring more flexibility and simplicity. But otherwise, the monitor is more useful for setting the frame. I use a lot the ASTRO, this is how I get my idea and my light. But the monitor, it also depends on the director. I realize the importance of the director’s rapport to the monitor , and that of the team to the monitor …. it’s just small monitors and getting an idea . This sometimes allows a technical discussion. … But … if it is a good large monitor … there is room for two or three people who can see the image. Did you permanently store your lightmeters? On the last film I did with my spot meter, it was a little broken, I needed to repair it, but I have still haven’t done it. I am willing to find a way to use it in digital but I haven’t managed so far. The cameras have a sensitivity which is nominal and therefore fairly accurate, is a bit like film? I tried but I found it rose more questions, it raises doubts for me, unlike the ASTRO. So I think it’s a problem, working out the levels on the camera. It’s a work method that I have not learned in school. “In my time” we would only do film. Are there are things in the movie that you think you have missed? As I already said. Questions in the main scene: the corner where the table stands, when I see these sequences, I feel a pinch of the heart. Always this conflict between realism and aesthetics …. The rest … there is nothing missing or it is not in the film. Do you still watch your own movies sometimes? I need to see them several times to really see them: the two-three first public screenings, I look at my work … the images, not the movie. To do this, I need more screenings and then often, one night, maybe a year later, I see the film and it is then that I actually discover it. It takes time to see the film, you must be detached to appreciate it objectively. So no, « Horses of God », I have not seen it yet. In previous films, the post production was also all digital? Yes, until now we were doing one digital pass through. Here, it’s the only film that has received a fully digital post-production. Do you think that there are films for 35mm and others …? Digital now has many advantages. My work in collaboration with a team, a more photographic approach, more image composition. It is a question of matter, the feeling is not the same. Grain and digital noise are different things. Do you think it is important to shoot several films with the same director or not? There are working couples who shoot several movies together and there are directors who change DOP at every film. And your relationship with the actors, your place as a cameraman? I like to communicate with the actors but specifically for their movements and positions. Directors requesting to go through them, I find it heavy and it slows down the process. Nabil asked me to pass through him, here there was a reason because these were not professional actors. Here I communicated through Nabil. But otherwise I think it is one of the pleasures and the roles of the DOP, having complicity with an actor, I find it fun and very rewarding for the film, for me and for others. It also greatly simplifies things. But there are things not to be said, things that do not concern us, and directing actors is something so mysterious to me. In Belgium, probably initially largely for financial reasons, the DOP is also camera operator. Is this part of your requirements or is the camera operator part within you stronger than the cinematographer? Or vice versa? I’m more used to doing both. At first I found it hard to do only the framing or only the lighting: for doing the light, it helps me to frame. Now I think it would be less difficult, I’d like to try working with someone, I would share with someone because we can learn from one another and also there are also some sequences where the light and frame are very important. This requires more preparation but in the end it is probably more interesting. Then, there are movies where if you only light, you get a bit too distanced. If I had to choose only one of them, I do not know what to choose, I think I’d make the frame more, this is for me, because if I do only light, I fear to be somewhat detached, not being in the story, not in the game. Especially in terms of work share… so, the DOP directs the image on the set, the camera operator works with the director. How did you come up with the idea of ​​making films? My mother was an editor and distributor of film (Cinélibre) so I was born into it. When I was little, I was in the first movie shot by my father, my mother being the script. And then I spent a lot of time editing. I always watched movies since I was little, it became obvious. And then I did odd jobs and small films through which I saw that it was really what I wanted to do. I chose « image » rather by chance I think. I made a movie where I had to shoot and edit. I hesitated between filming and editing but the shooting means also travelling, meeting others. Editing is in my room … So I chose being on set and the image. I followed the traditional way: I began as first assistant camera, I also made some documentaries. At that time, I wanted to quickly make documentaries, direct some. At the time it was Chris Marker for example. I do not know what to say. There is « West Side Story », I have certainly seen it 50 times. It is especially the American cinema that I always liked. Do you think that being interested in editing, as you were, helps in operating the camera? From a directing point of view, yes. I think it is important for a cameraman in any case to have emotions and ideas. But it also helps to see many films. This is how you understand how stories work. Do you think that to do this job, you must see a lot of movies? I would tend to say yes, at least when I was younger, I went at least three times a week to the cinema, watching a bit of everything. I think I learned more in the cinemas than in film school. At school, we learn technical things, we learn many things, but I think it’s for the picture, my desire to make films came from seeing many, many of them. With whom did you work as an assistant? I was the assistant of Virginie Saint-Martin and Remon Fromont. Both made me work with them and I learned a lot by observing them. When I was an assistant, I did not realize, it was later, when I started to light that I understood what a wonderful position an assistant has to observe the work of the director, the frame and the light. Yes, but in due course with a film of John Shank. I continued to be an assistant even after, but less and less. What are the qualities of a good assistant? It is to be calm and unobtrusive. Knowing how to hold your place: it is a special place, it is close to all, in the center but in the shadow. It is more difficult nowadays to be an assistant? You think the focus is not so difficult? Working conditions have changed enormously: there is again a new wave style, freestyle, with optics that are becoming clearer, sharper images. I do not make focus, I make films. Maybe technically it is a little sharper today .. but there are more tools to appreciate on the set. There are many. I saw « Suzanne », a French film, which is a beautiful film. And above all the films from Paul Thomas Anderson.